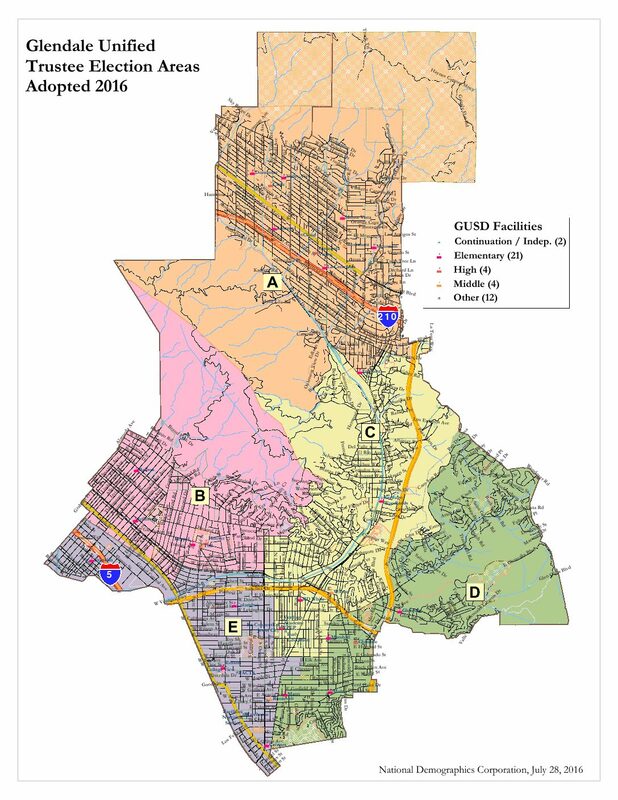 For the first time in Glendale’s history, the Glendale Unified School District (GUSD) and Glendale Community College District (GCCD) will hold elections for seats representing specific geographic areas (by-district elections). The two bodies adopted the by-area/district elections model to take effect in April 2017. The information below is to assist you in better understanding these important and new changes. The Glendale Unified School District Board voted on May 24, 2016 to change the at-large method of electing board members to a by-area election effective April 2017. It also adopted a trustee areas map providing for the district boundaries. Trustee areas B, C, and D will hold their first election in 2017, while Trustee areas A and E will hold their first election in 2019. 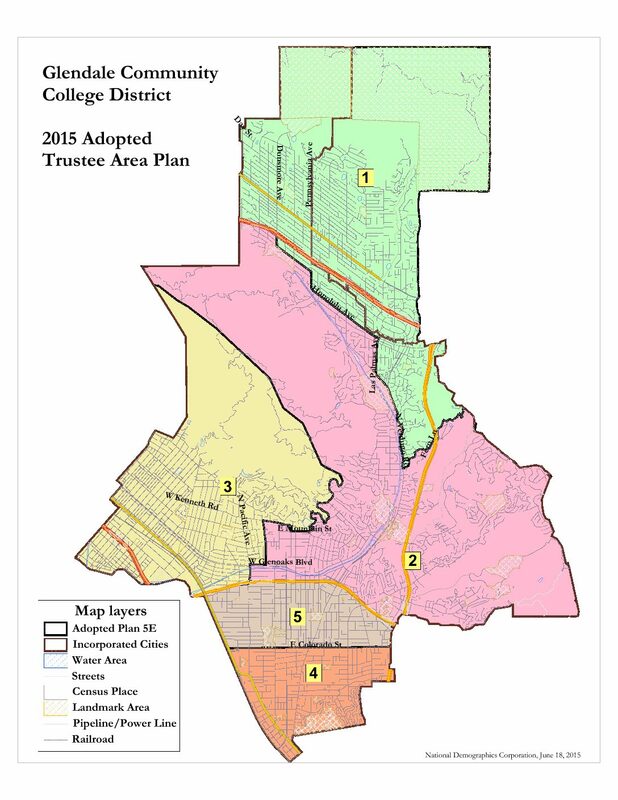 During the time period between 2017 and 2019, the current sitting Board Members will continue to represent Trustee Areas A and E.
The Glendale Community College Board voted June 16, 2015 to change the at-large method of electing board members to a by-area election effective April 2017. It also adopted a trustee areas map providing for the district boundaries. Trustee areas 2, 3, and 4 will hold their first election in 2017, while trustee areas 1 and 5 will hold their first election in 2019. During the time period between 2017 and 2019, the current sitting Board Members will continue to represent Trustee Areas 1 and 5.